Main Street Floral can create an arrangement for every occasion! 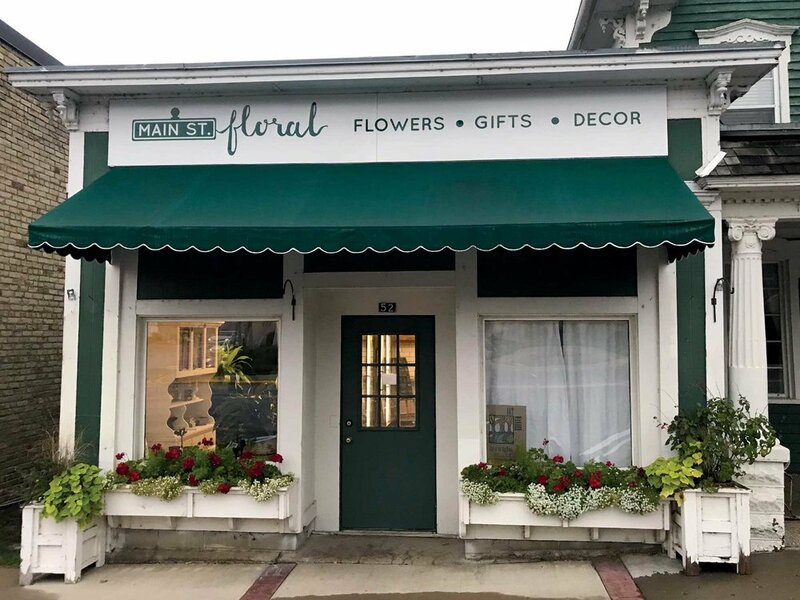 Main Street Floral offers pre-made arrangements, custom order arrangements, fresh cut flowers, plants (blooming and green), and delivery to the surrounding area. Main Street Floral has a fine gift selection and will continue to build on this as we grow into the entirety of our space at 52 West Main in Waconia, MN. Our gift lines will be focused on our Scandinavian heritage in addition to including some of the beautiful items formerly offered by the Wild Bird Store. Main Street Floral works directly with Johnson Funeral Home to ensure the high quality and exceptional customer service that clients of Johnson Funeral Home have come to expect in their floral arrangements. We offer bridal and wedding arrangements along with other event arrangements. Please call to schedule a time to meet and plan out your special day! Bold and lively. Cheerful colors with bright hues. Visually striking for that vibrant someone! Soft and shimmery. Glowing peaches, yellows and whites. Depicts tranquility. Texture and earth tones. Added berries and pods with tones of greens, taupe and cream. The perfect floral or plant arrangement for the earth child in your life. Bright and ethereal. Shades of blue, purple with moon like tones of white and silver.